It may shock you to learn that over 150 people are killed by avalanches every year. The avalanche dangers vary between destinations, and depend upon multiple factors including temperature and snowfall – making them difficult to predict. However, when an avalanche does strike it can prove deadly for anyone caught in its wake, which is why experts have now released tips to help you survive an avalanche. Make sure you’re prepared by carrying kit which could potentially save your life, for example a shovel, probe and avalanche transceiver, as all of these things should help rescuers to locate you in the event of an avalanche. You could also consider investing in an airbag, which, went inflated, should help you rise to the surface while the snow is still moving, however these are quite expensive and do not guarantee survival. 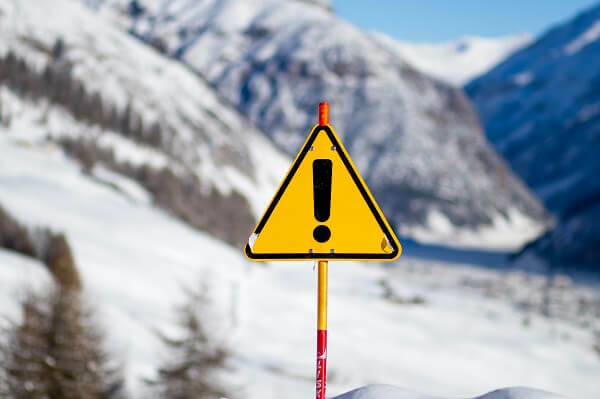 Avalanches usually kill those who are skiing or snowboarding off piste, so it is vital that you stay vigilant if straying from the safety of the resort boundaries. Consider hiring a local guide who can ensure you stay away from high risk zones and also look out for warning signs highlighting danger. Skiers should also look out for signs of previous avalanche, cracking or collapsing of snow on the mountain, and a hollow noise when moving across the surface of the snow, as all could be signs that the snow is unstable and likely to start sliding down the mountain. The key to surviving an avalanche is staying on top of the snow, so you do not become buried underneath it. Never try to out run an avalanche, but instead start to ski sideways away from the falling snow. If you do become caught in the slide, let go of your poles and adopt either a swimming technique in the direction of the slide, or roll like a log to prevent you from being pulled under. If you do become trapped under the snow, try to move your body to create space around you before the snow hardens. This should create a pocket of oxygen around you, and allow enough room for your chest to comfortably expand when you breathe. Try to stay calm and reserve your energy.